This is the first complete translation of the biographies of fifteen artists, including Annibale Carracci, Caravaggio, Rubens, Van Dyck, and Poussin, written by the seventeenth-century antiquarian Giovan Pietro Bellori. Originally conceived as a continuation of Vasari's famous Lives, it is a fundamental source for seventeenth-century Italian art and artistic theory, providing detailed descriptions of extant and lost works of art, while casting light on the cultural politics of contemporary Rome and the relations between Rome and France. 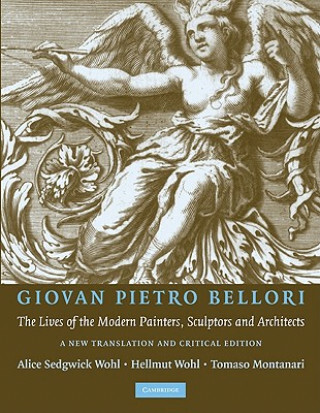 The importance of Bellori's Lives lies in the scrupulous documentation of artists, many of whom he knew personally; the author's detailed descriptions of their works; and his exposition of the classicist theory of art in the introductory lecture, the Idea. This volume contains the twelve Lives published in the original edition of 1672 and three Lives (Guido Reni, Andrea Sacchi, and Carlo Maratti) that survive in manuscript form and that were published for the first time in 1942.